With December now upon us and Xmas coming soon, it is that time of year again when I take a look back on the major happenings in 2014 in Amiga land. There has been a lot happening! 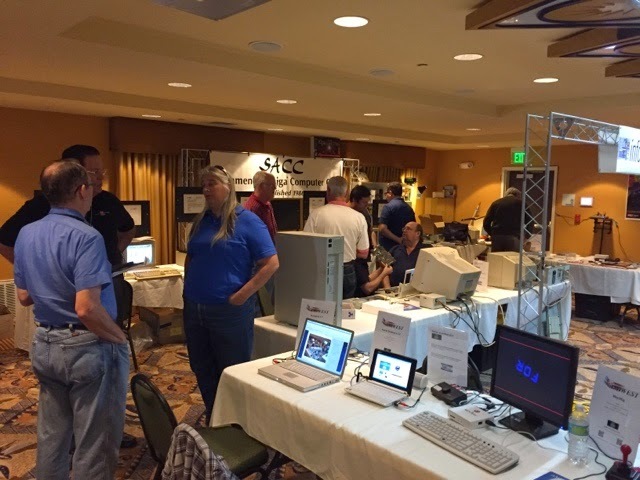 On the Amiga hardware front in 2014 we saw the new A-EON AmigaOne X5000 released to Beta testers, and demonstrated at AmiWest 2014. 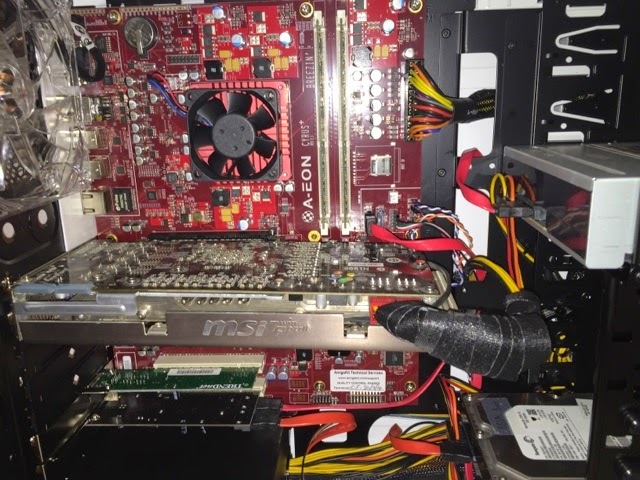 In addition there was also the announcement at AmiWest 2014 of a new ACube Sam 460CR (Cost Reduced) system running AmigaOS 4.1.6 to be released soon. The plan seems to be to release a cheaper Next Generation Amiga system for those unable to afford an X1000 or Sam460ex system. Loriano "The Daddy" Pagni also released a small run of specially customised Ducky Zero mechanical keyboards with Amiga keys in 2014. Individual Computers released the Rapid Road USB hardware in 2014, allowing Classic Amiga systems to use USB 2.0 devices at USB 2.0 speeds for the first time, and allowing power input to avoid the need to have a powered usb hub, which was required for previous USB solutions. 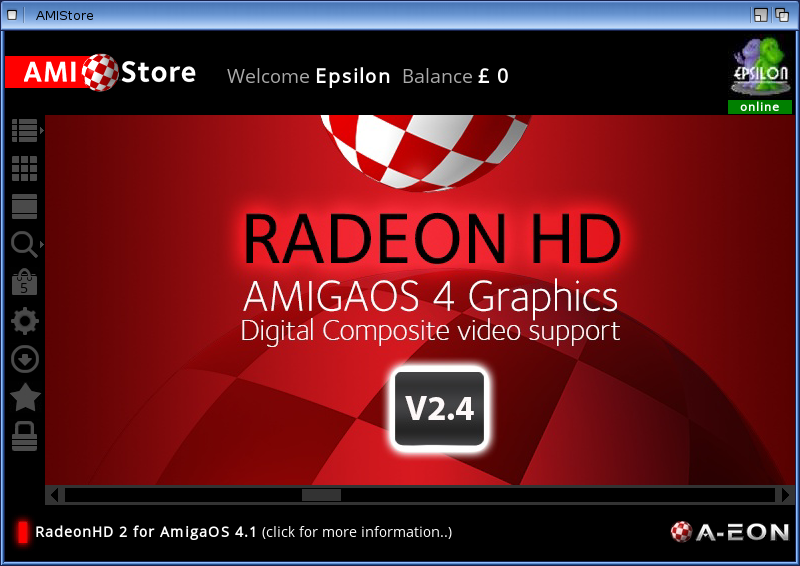 A-EON also released the Radeon HD 2.4 graphics drivers on the AMIStore in 2014, providing new 2D Composite video functionality on Radeon HD graphics cards on AmigaOne X1000, X5000 and Sam460 systems. 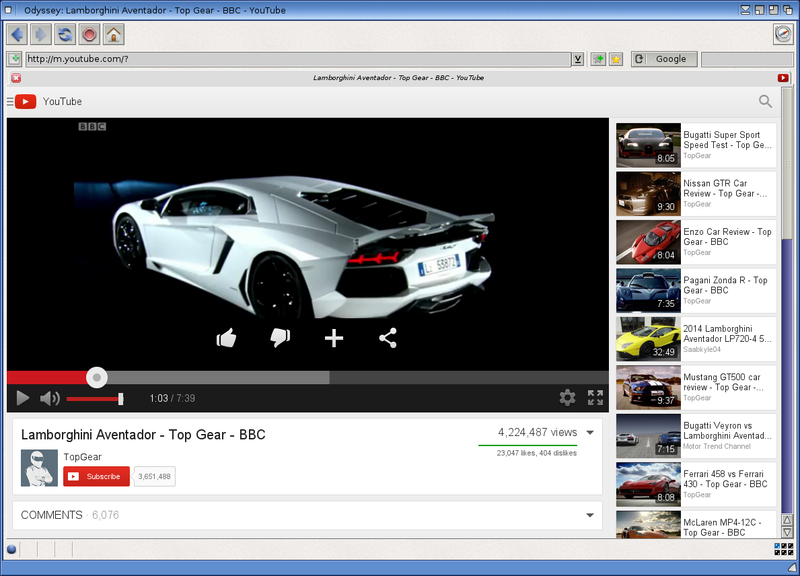 Primarily the benefits will be felt in AmigaOS4.1 Final Edition, but video playback is also improved on AmigaOS4.1.6 also. 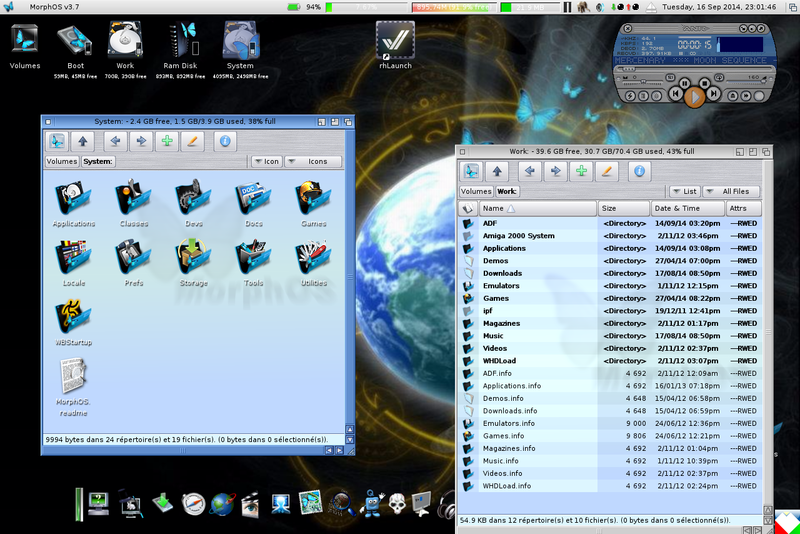 On the Amiga Operating System front in 2014 we saw the release of MorphOS 3.7 and Icaros Desktop 2 (AROS). My Acer AspireOne ZG5 netbook running Icaros Desktop 2.0, released in 2014. 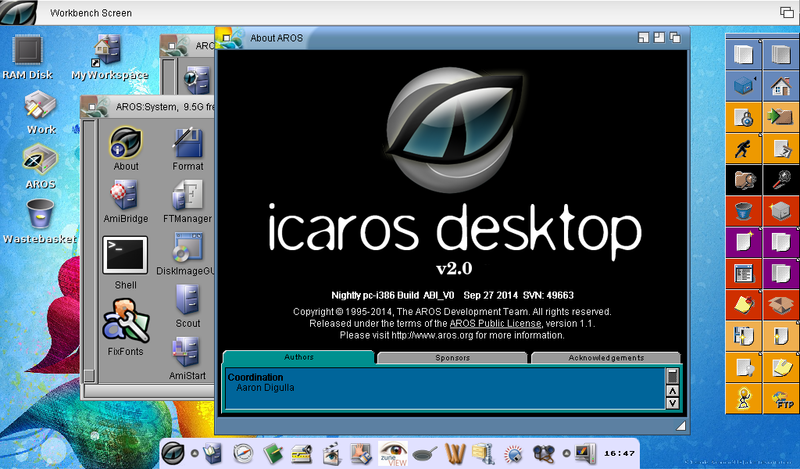 Closer look at Icaros Desktop 2.0, released in 2014. 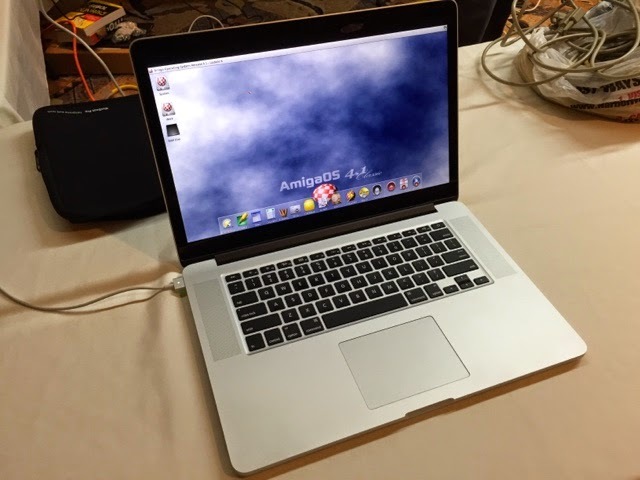 My Powerbook G4 15" laptop running the 2014 released MorphOS 3.7 with Apple Airport WiFi support - no more USB WiFi dongles! 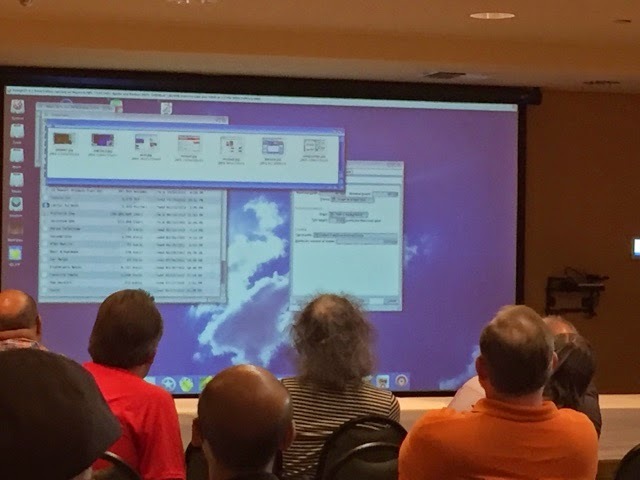 Also we had the announcement and demonstration at AmiWest 2014 of AmigaOS 4.1 Final Edition, expected to be released by Hyperion as a paid upgrade by the end of this year. 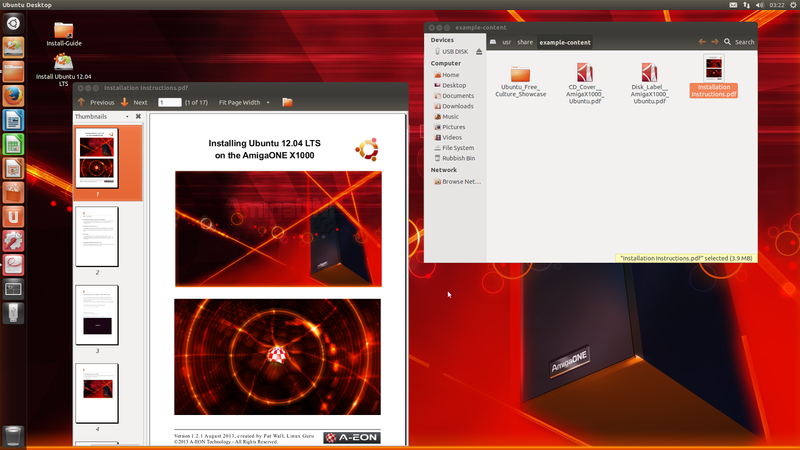 Update 18/12/2014: AmigaOS 4.1 Final Edition has now been officially released. I have ordered my copy for the X1000 and Classic Amiga and look forward to receiving it early in 2015 for a much closer look! 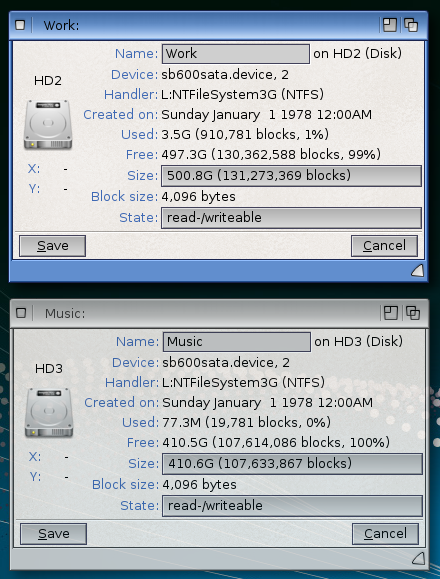 So all three Next Generation Amiga operating systems saw substantial new upgrades in 2014! 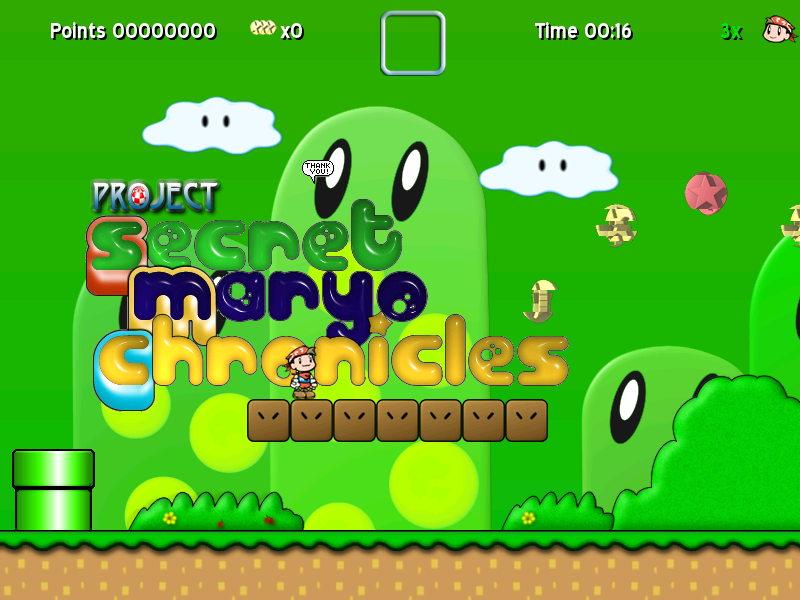 It is fantastic to see the ongoing development of the Amiga platform in 2014 and beyond. 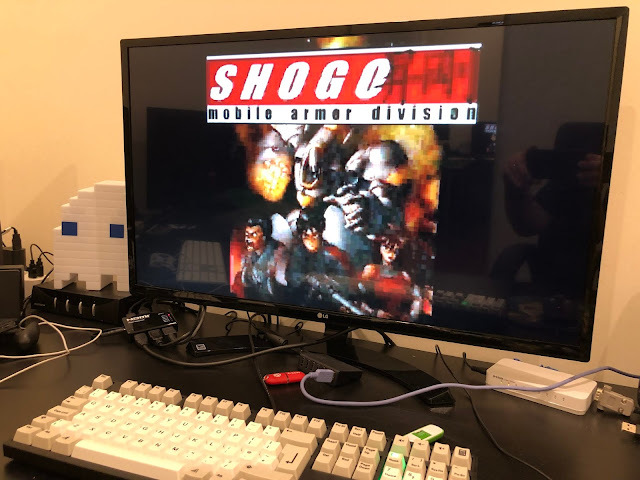 In addition we also saw some important work in the emulation world in 2014, with QEMU-PPC support added by Toni Wilen for PowerPC processor emulation in WinUAE and later ported to the FS-UAE Amiga emulators too, making it possible to run AmigaOS4.1 Classic under Windows, Mac OS X and Linux. 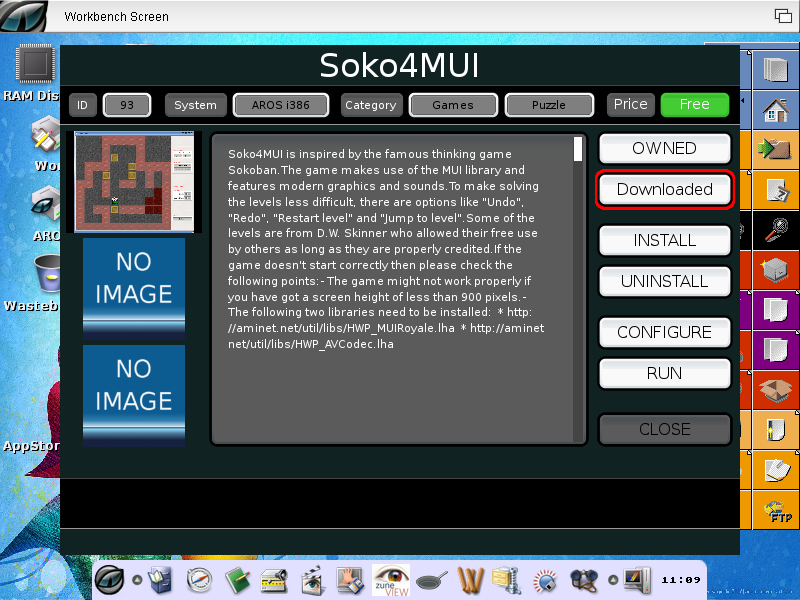 I demonstrated this development with my own emulated AmigaOS4.1.6 Classic build at AmiWest 2014 running on Windows 7. 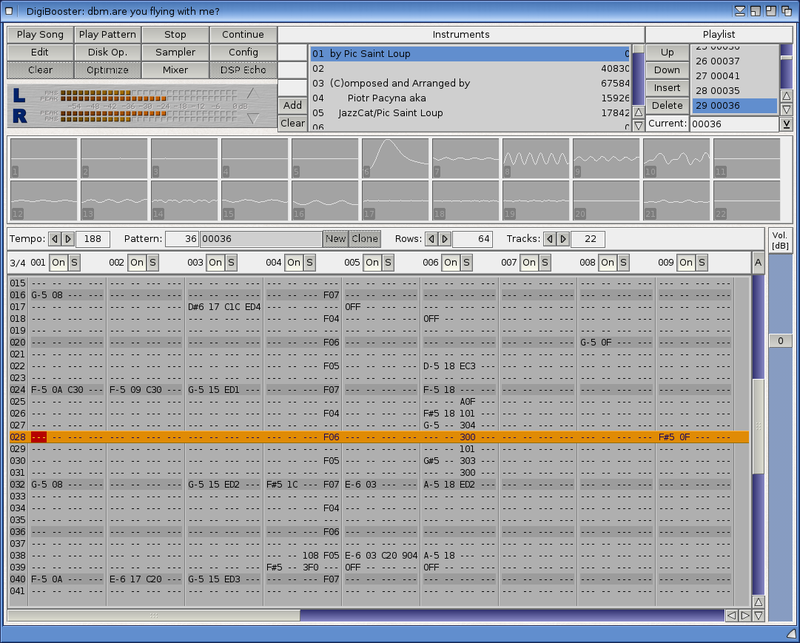 I used it for the programming seminar before the main AmiWest 2014 show also! 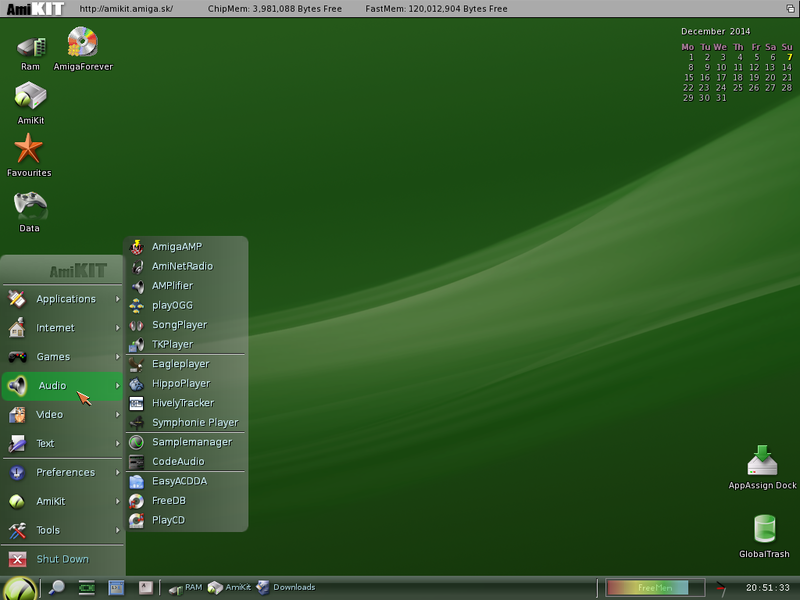 Last, but certainly not least is the very recent release of AmiKit 8, a highly customised pre-configured Classic Amiga setup for users who want to run the most beautiful AmigaOS3.x system with all the myriad of patches and utilities installed and configured to taste, but lack the time needed to build it from scratch themselves. 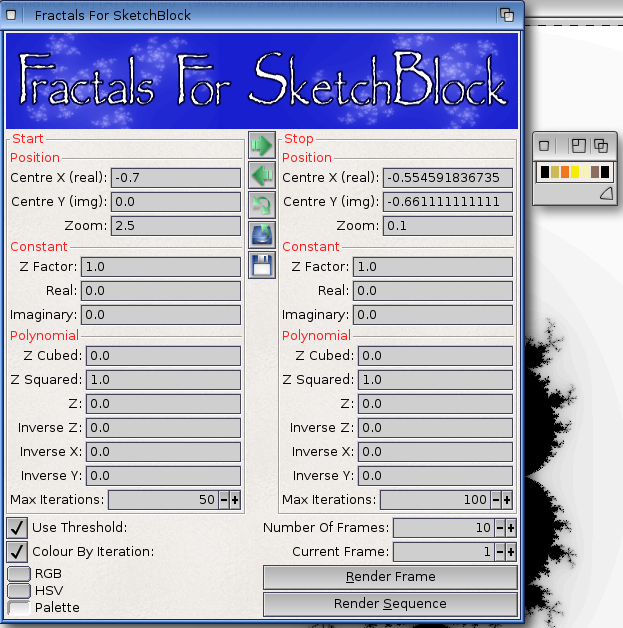 You can download from here. All that is needed is a copy of Amiga Forever (from Cloanto) to copy the required copyrighted files during the installation of it. 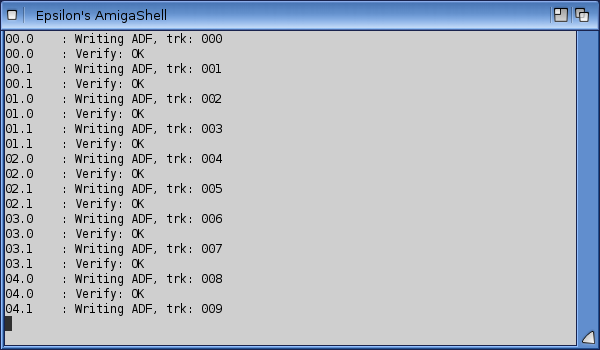 This AmiKit distribution is available as a self booting USB stick for purchase, and also free download to setup and run on your favourite Amiga emulator - WinUAE, FS-UAE, E-UAE, etc. 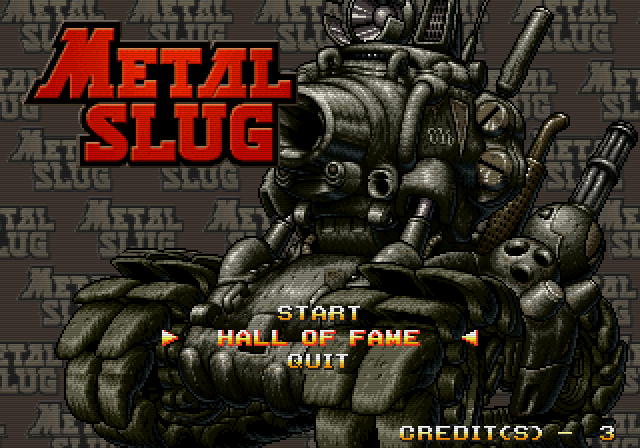 There is even a distribution of this now available to load onto Classic Amigas directly called Real AmiKit. Plenty of helpful instructions are included to get you started. 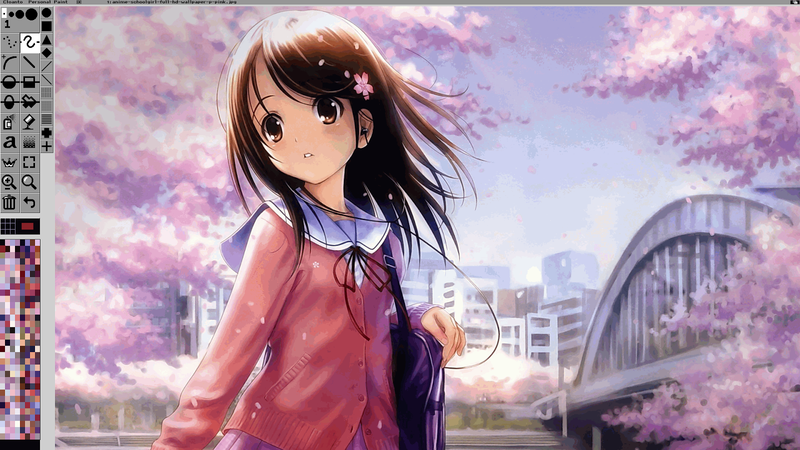 In my case I loaded AmiKit 8 onto my newly built Ubuntu 14.04 Asus Core i5 laptop, running it under FS-UAE. 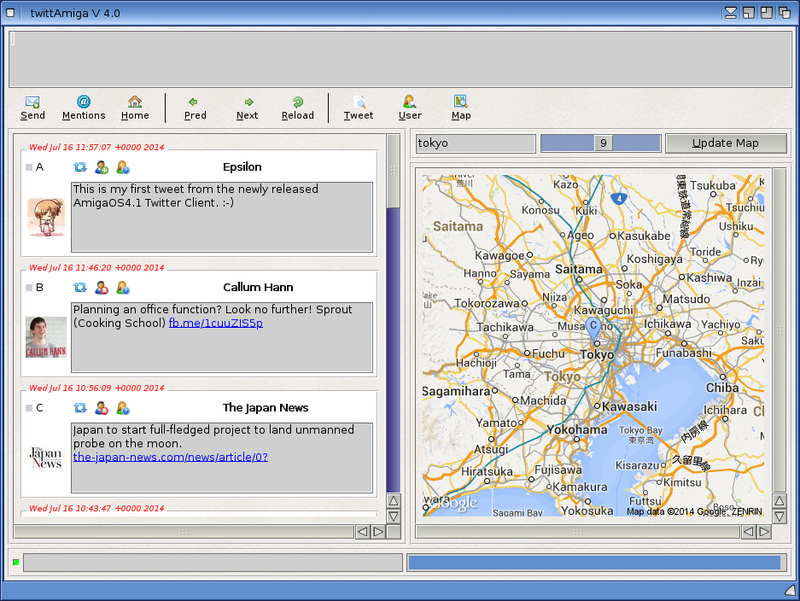 AmiKit 8 DOpus 5.9 integration, running in Workbench replacement mode. 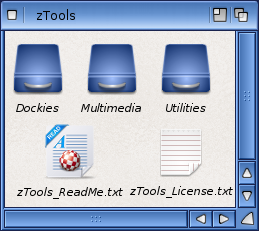 MUI 4 is included also. 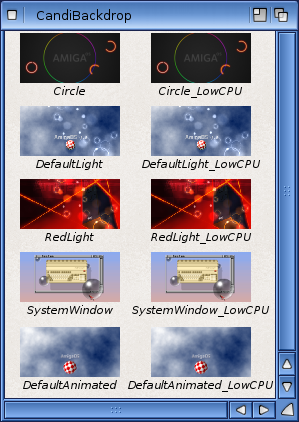 Certainly it has been a great year for operating system upgrades for Amiga, with plenty of new features to explore! I particularly enjoyed playing Me and My Shadow and Voxelnoid in 2014 - they are fun games! 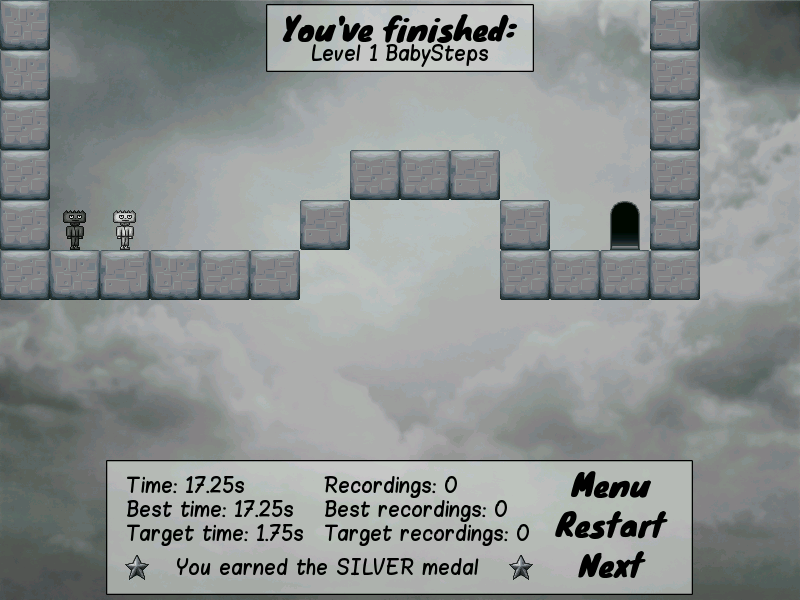 One of the key releases in 2014 for Amiga platforms has been a new application purchase and delivery model commonly used these days on the very popular Apple, Microsoft and Google portable devices - the App Store. 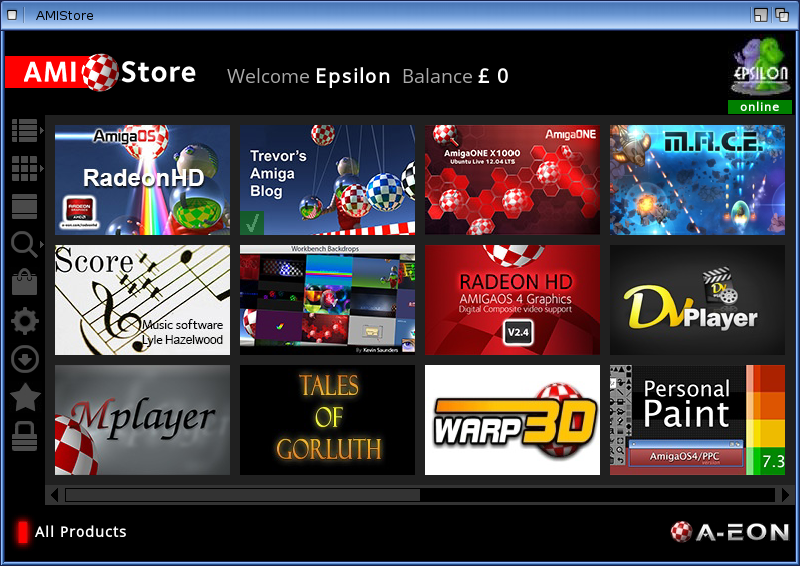 The first of these is AMIStore (by A-EON), released on AmigaOS4.1 in 2014 and soon to be released for Classic AmigaOS 3.x platforms too. 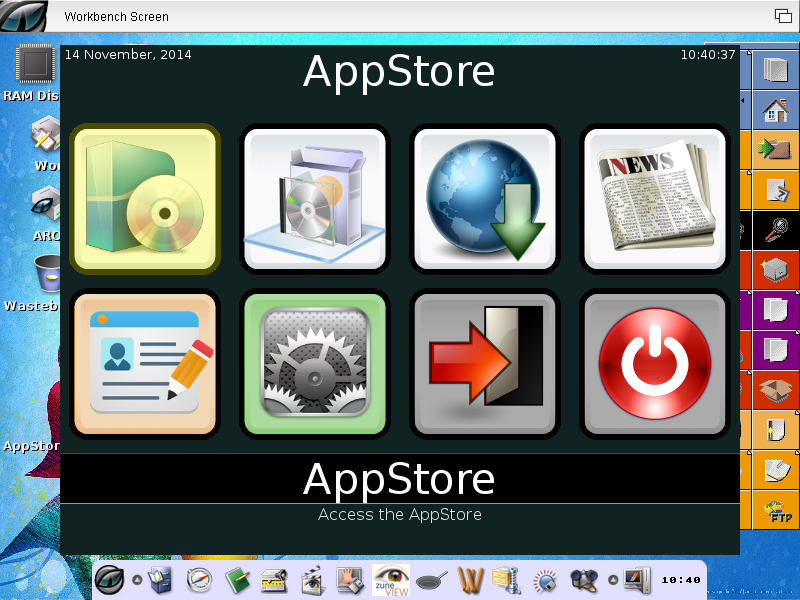 AMIStore - released in 2014 for AmigaOS4.1 showing All Product view. 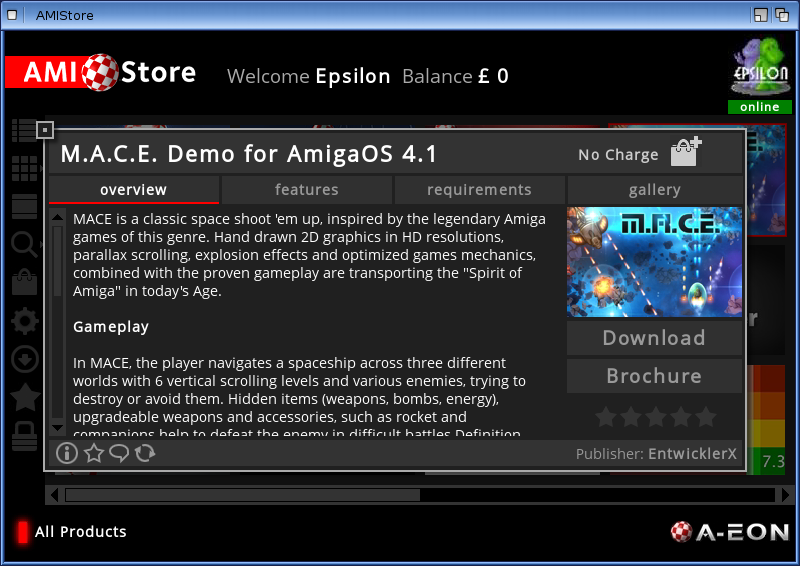 AMIStore - released in 2014 for AmigaOS4.1 showing M.A.C.E Product Overview detail. Also released in beta test form in 2014 is IndieGO App Store, aiming itself not only for Classic and Next Generation Amiga platforms, but other platforms too. 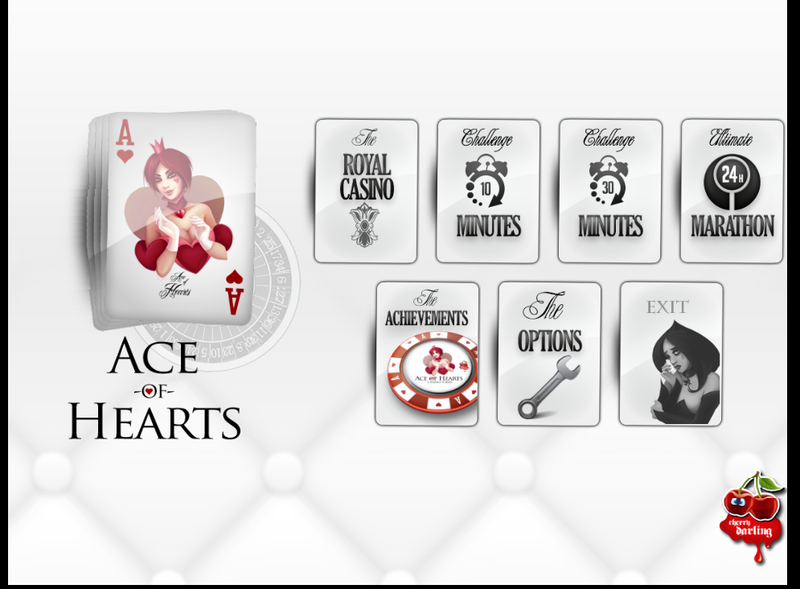 With the release of the Amiga App stores in 2014, and the emphasis placed by A-EON on the need for new content and applications in a big way in 2014, and a lot of work has gone into releasing a lot of interesting applications for our favourite platform. 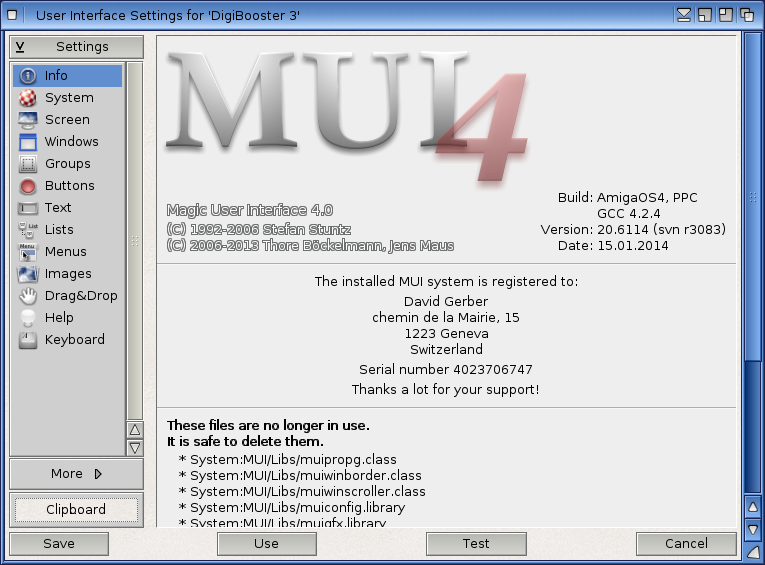 MUI 4 was also released for AmigaOS3.x via AmiKit 8 in 2014, and it was already available on MorphOS previously. 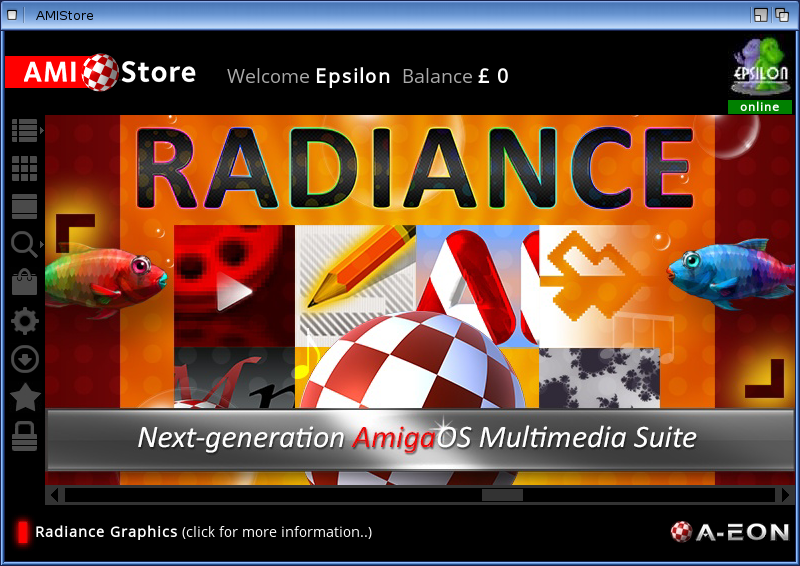 Radiance Graphics Suite has also been announced in 2014, planned to be released on AMIStore when AmigaOS4.1 Final Edition is available. 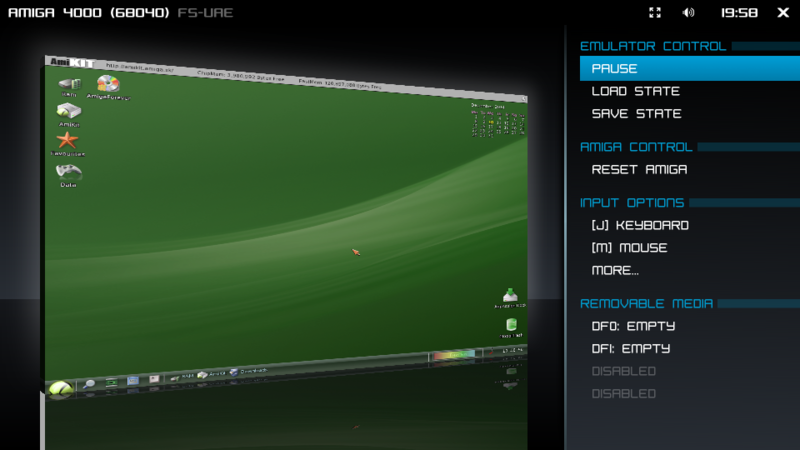 There is also work being done on bringing Octamed Soundstudio onto AmigaOS4.1 as well, with A-EON acquiring the rights to it and Warp3D support for Radeon HD cards which will open up many Warp3D games on AmigaOS4.1 to be able to be run on the AmigaOne X1000 without an old legacy Radeon 9250 PCI graphics card installed. Certainly there has been more applications released this year and I sincerely hope this continues into 2015. 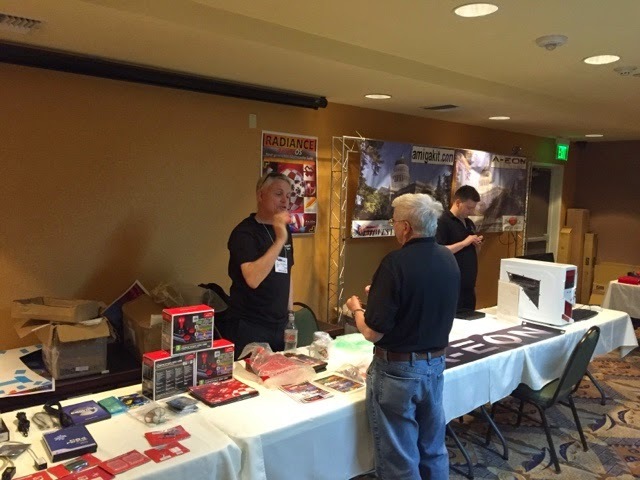 This year I was finally able to save the money to attend my first ever AmiWest show in 2014, held in Sacramento, California. It was a lot of fun and great to meet so many passionate Amigans and see the ongoing developments for our platform first hand - to see the X5000 up close, play with AmigaOS 4.1 Final Edition, see demonstrations of various games/applications, and to demonstrate MorphOS, Icaros and Minimig systems to attendees. 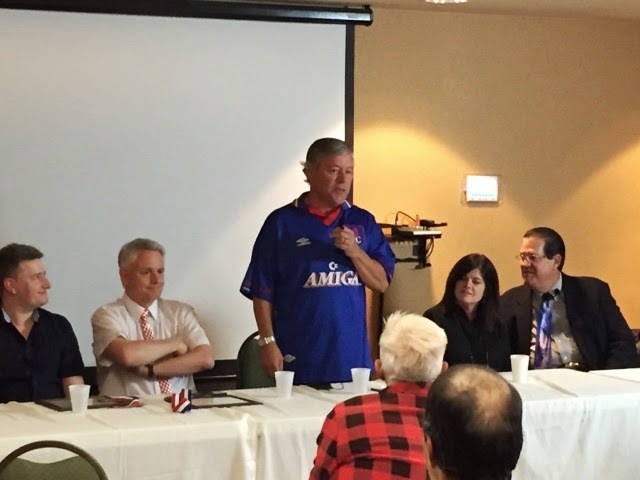 I also got to hear about the final days of Commodore UK from the perspective of Colin Proudfoot, the ex Commodore UK MD at the banquet. Finally, I also got to meet and hear from Trevor and Matthew Leaman (A-EON), Steven Solie (Hyperion), also many AmigaOS 4.1 developers and many Amigans I had chatted with on IRC but never met in person - Ken (both of you! ), Mike Brantley, Val, Eldee, Tony, Bill, Brian, Andy, Tom and too many others to mention - it was great to meet you all this year! Friday night Classic Amiga Clinic - Tekmage's unwell Amiga 4000 being looked at. 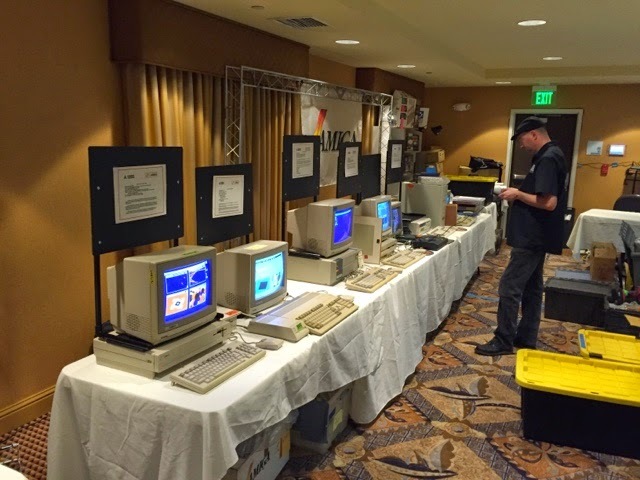 My table at AmiWest, with plenty of discussion about all things Amiga all weekend! 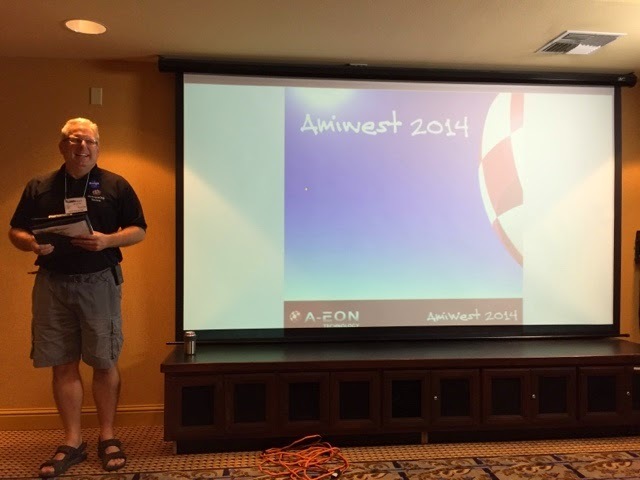 A-EON also announced at AmiWest 2014 they bought the Amiga forum websites amiga.org and amigaworld.net in 2014. There has been plenty of debate in the Amiga community about this move, but if it keeps forum websites online for the forseeable future to discuss all things Amiga then it is a good move for us all. There have also been plenty of other Amiga shows held around the world throughout the year! I wanted to point out all the things that have happened in 2014 for Amiga - there has been many positive developments as you can see - and 2014 is not quite finished yet! We still have AmigaOS 4.1 Final Edition release to look forward to this year, and Radiance Suite along with it - and no doubt plenty more developments in 2015. Whew - well that summarises 2014, lots happening still! I will be offline from this blog for a bit from now, as usual during the Xmas/New Year period. I should be back in late January-ish as usual. Until then, I wish you all and your families a Very Merry Xmas and a Happy New Year. See you in 2015!